The Ark is a whole library of historically significant, public domain Christian Science publications, including all issues of The Christian Science Journal and the Christian Science Sentinel from their inception through 1922. These are faithfully and accurately presented in photographic reproductions, so you can see and print a facsimile of the original publication. The Ark is also a powerful search engine, allowing you to rapidly search the over 55,000 pages in the Collection to find articles, editorials, poems, authors, testimonies, and even historical listings of Churches of Christ, Scientist, and Christian Science practitioners. Use The Ark’s powerful search engine to quickly find the pearls you are looking for amid over 55,000 pages of public domain (1883-1922) Christian Science periodicals. View historical Bible Lessons from the Christian Science Quarterly 1904–1922. Study the The Ark’s Collection in a historical context utilizing the unique Timeline feature. Enrich your study with the "100 Years Ago Today" feature, which presents the periodicals current 100 years ago. Print materials for study, or share via email. Use The Ark to find articles on Christian Science; its relation to The King James Bible; articles by and about Mary Baker Eddy, the Discoverer, Founder, and Leader of Christian Science, and author of its textbook, Science and Health with Key to the Scriptures. 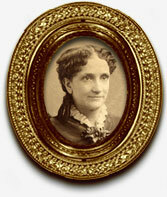 Mrs. Eddy founded the Church of Christ, Scientist, in 1879 as a "church designed to commemorate the word and works of our Master, which should reinstate primitive Christianity and its lost element of healing" (Manual of The Mother Church, Mary Baker Eddy, 17).